Oxford, MA – Just two days after Albany, NY unanimously passed, 11-0, the strongest Anti-NDAA resolution in the United States, the people of Oxford, MA passed the Oxford Restoring Constitutional Governance Resolution by a near unanimous margin. This resolution blocks the detention provisions under the 2012 NDAA and the law of war, including the indefinite detention and “targeted killing” of any person, in the City of Oxford. The 2012 National Defense Authorization Act was overwhelmingly passed by Congress and signed into law by President Barack Obama on December 31, 2011. The 2012 NDAA declares the United States to be a battlefield in the war on terror and Sections 1021 & 1022 authorize the indefinite detention, without charge or trial, of all persons, including American citizens, accused by the President of undefined "support" for terrorist activity or commission of a ‘belligerent act". This violates multiple provisions of the US Constitution, in addition to the 1st, 3rd, 4th, 5th, 6th, 8th and 14th amendments. 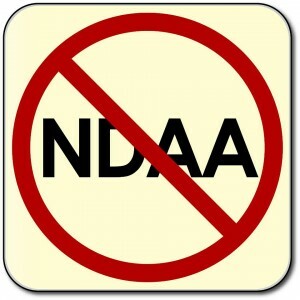 People Against the NDAA (PANDA), a national, nonpartisan, grass roots organization founded in January 2012, is committed to reversing the NDAA’s unconstitutional authorizations with activism to affect policy at the state and local government level. PANDA started in Bowling Green, OH and has since expanded into over 30 state teams nationwide. Unlike in most cities across the country, several Massachusetts towns, including Oxford, have “Town Meetings” where the citizens vote on issues instead of elected officials. Each issue requires a percentage of signatures to get it on the meeting agenda, but once it is on the agenda, the citizens of that town directly decide on the issue. Matching, and with more clarity than, Albany’s resolution 80.21.93 just three days ago, this resolution makes it crystal clear that the “law of war,” and anything associated with it under Section 1021 (c) of the 2012 NDAA or otherwise, is unlawful to implement by any person…which includes everyone from international police forces (such as INTERPOL) and Federal agents to local and state police. “Special thanks to everyone that helped Take Back the Town of Oxford. It was a team effort, and everyone's contribution was critical to accomplishing the mission. As we celebrate the victory, let us not lose sight of the long road ahead of us. There is work that still needs to be done, but together, we will restore constitutional governance to the Commonwealth of Massachusetts." Unlike the Liberty Preservation Acts introduced and/or passed in several states, including Virginia and California, the Restoring Constitutional Governance Act/Resolution prohibits any person, local, state, federal, or international, from utilizing the powers of the “law of war” under the 2012 NDAA or any similar law or authority, in any city, county, or state. Albany, NY. Oxford, MA. Two cities, just two days apart. The momentum is growing, and real change is now on our side. America is only a Republic…if we can keep it.